Bona fide leaders are selfless, persuasive and committed to creating lasting positive change in those around them, in every aspect of modern life—whether it’s at work, in public office, in school or as a parent. Been able to create some positive change, only to return to your old habits? Felt frustrated because, even when you change yourself, you can’t help your loved ones with the same challenges? Wondered why you aren’t doing greater things with your life? We all have the seeds of leadership within ourselves. 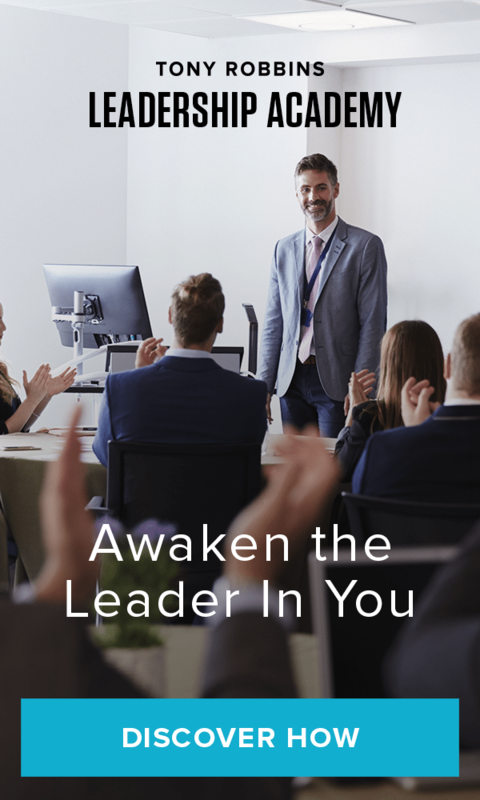 Through concrete strategies, Leadership Academy will empower you to become a person of influence, someone with the power to awaken everyone around you. You will learn the 7 Master Steps for Lasting Change, the secrets of leverage, and ways to understand and fulfill the 6 Human Needs. This program is essential for business owners, parents, managers, counselors, teachers and coaches. It’s time to step up to your true potential. To miss this year’s Leadership Academy is to miss a rare opportunity to claim your unique personal power. In four short days, you can unlock the tremendous leader inside you. Leadership Academy is offered only once a year, so enroll today.